Did Mark Zuckerberg make one misstep too many to earn Fortune’s businessperson of the year, or is he a visionary? He had to buy his way into the mobile domain. Next was a fundamental misunderstanding of the India market. And then, this year: fake news. A critic might ask if that was one misstep too many for Mark Zuckerberg to earn Fortune’s businessperson of the year. A better question might be: is a misstep really a misstep when it connects to a vision? I make no claim to cataloging the quality of Facebook’s every move or to being an expert on its CEO. But my own research and experience support this portrait of successful leadership: the quintessential engineer transcending the technological domain to excel in the interdisciplinary aspects of enterprise. Or, genius coder turns business genius. It’s no small feat. But why is that? Mark Zuckerberg’s often cited “consistency of vision” is surely a factor but consistency is hardly a unique trait in the engineering community. Precise by nature or by training, engineers do tend to stick to their guns. The most successful ones, however, discover a need to escape their technical paradigm. Where once they made technology improvements based on their own parameters -- like speed, or a very cool, complicated algorithm -- those on their way up have learned to anticipate how the customer values those functionalities. They ask themselves: how do I prioritize and strategize my technology roadmap early and in a way that’s infused with what the market needs -- even when that leads, as it often does, to a different feature set or a different kind of a product. In essence, ascending technical professionals have learned a new kind of flexibility. They must think about products and decisions from the point of view of a salesperson. Or anticipate how other functions in the organization might look at the same problem or how those groups will be impacted by their decisions or products. Their challenge, then, is to make sure their technical priorities consider or respond to a broader set of issues and considerations. Remaining true to a vision and having the flexibility to consider alternative viewpoints is where leaders like Mark Zuckerberg establish their singularity. There’s evidence that, in some ways, he is better at being flexible than most. For example, upon realizing he was late to the mobile game, this talented hacker and engineer was not shy to pay for other innovations that someone else built. And pay handsomely. Was that a misstep? 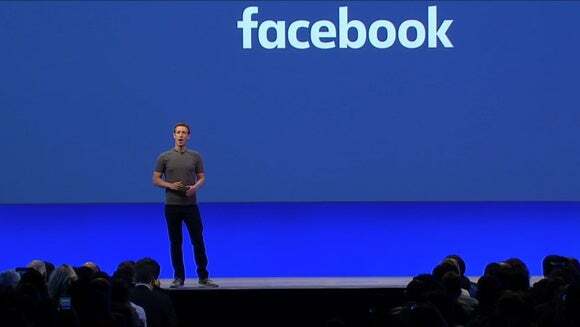 Zuckerberg’s vision is to give the whole world access to information and help humanity to share it. In the case of mobile, maybe it’s obvious that he should have jumped in sooner. But managing that buy vs. build decision demonstrated a great use of flexible thinking to achieve his grand vision. When a leader is always evaluating decisions against an unwavering vision, it may lead to unexpected steps. Moving into 2017, for example, Zuckerberg’s reversal on fake news -- from abdicating responsibility to aggressively battling misinformation -- may ultimately be viewed a business-killing misstep or a strategic one fulfilling his unwavering vision. Whether that is answered in the short- or long-term remains to be seen. To consistently stick to a mission means more than choosing what you are going to do. It’s just as important to say what you’re not going to do. How the handling of misinformation plays out in Facebook’s vision to help people “stay connected, discover what's going on in the world, and to share and express what matters to them” will become more apparent in what’s sure to be watershed year for information, technology and business leadership.